Matthew Lloyd will be remembered as Essendon’s all-time leading goal kicker and one of the game’s great full-forwards. Lloyd was picked up in the 1995 pre-season draft in a complex deal that saw three Essendon players move to Fremantle. 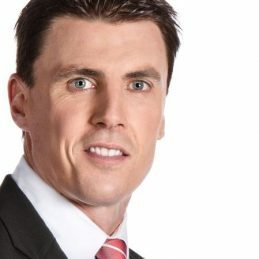 Now retired as a champion from the Essendon Football Club, Matthew Lloyd has made the transition to respected media commentator in the four years since hanging up the boots. Lloyd writes a regular column for The Age and joined the Nine Network in 2012 to be a panellist on The Footy Show and The Sunday Footy Show. He also joined 3AW’s AFL special comments team in 2012. In 2013, he joined Nine’s Footy Classified alongside Garry Lyon, Craig Hutchison and Caroline Wilson, and has been acknowledged for his hard-hitting analysis of all aspects of the AFL. Lloyd has had a keen interest in the media since his playing days writing for The Age with regular appearances on FOX FOOTY, Triple M and The Footy Show. Upon retiring, he signed to Network Ten’s AFL team as an expert commentator for the 2010 and 2011 AFL seasons. He also worked for radio station SEN1116, providing special comments on their AFL coverage. Lloyd was a highly decorated full-forward during his playing career and is Essendon’s all time leading goal kicker and sits seventh on the AFL/VFL’s all-time goal kicker list. A three-time Coleman Medallist, Lloyd captured the Mark and Goal of the Year awards in back-to-back years in 2007-08. He led Essendon’s goal kicking a remarkable 12 times, with a career-best 109 goals in the Bombers 2000 Premiership year. Lloyd also belongs to the small group of players whose first kick in the AFL resulted in a goal as well as players to have kicked over 100 goals in multiple years. A five-time All-Australian, Lloyd represented Australia twice in International Rules football, winning the Jim Stynes Medal in 2006. An Assistant Coach with the AIS-AFL Academy since his retirement, Lloyd lives with wife Lisa and their three children in bayside Melbourne.